Today I'm participating in the Prowl Trilogy Tour by Amber Garza and hosted by iLUVtours. Click on the banner below to follow the tour, and stop back here on September 28th and October 12th for the rest of my reviews. Summary from Goodreads: Seventeen-year-old Mackenzie Smith is sent away to spend a boring summer at her grandma’s. But then she meets Wesley. He tells her exactly what she wants to hear and has information about her past that no one else knows. It’s almost like he can read her mind. Kenzie’s life has been anything but easy. There’s a rocky relationship with her mom, a wild side that has worn her down, and an incident with a boy that encourages her to make a change. 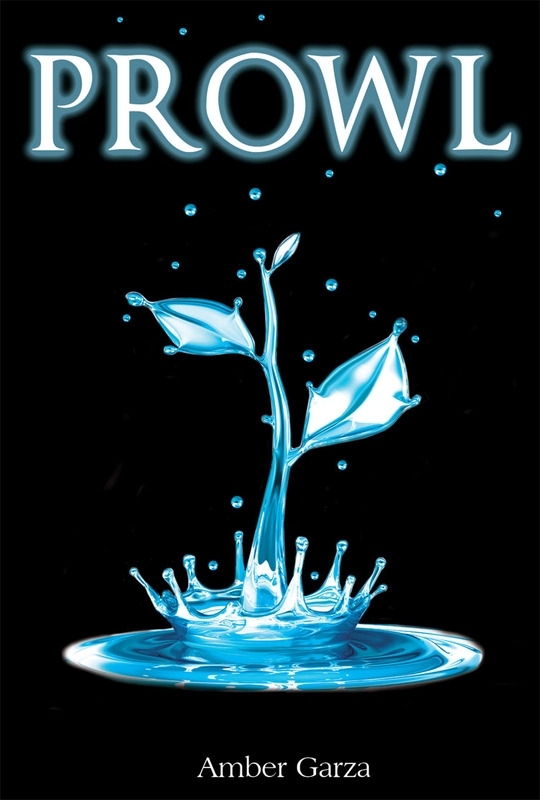 Prowl is the first book of the trilogy where we meet Kenzie briefly at home with her friends before she is shipped off for the summer to stay with a grandmother she rarely sees. While there, she encounters two different people who represent the extremes in her life. Amber’s writing style had me wrapped up from the beginning. Everything flowed, dialogue was perfect for the YA audience, and the character building connected with the reader. I would have liked to see more scenes with Kenzie and Isaac to help forge the bond they have, but I also have a feeling we may be seeing more of this in the future. I signed up for this tour knowing that there were religious undertones to the story, and even though that’s not something I would usually read, I thoroughly enjoyed Prowl for the paranormal elements and general YA story. As soon as I was done, I started Entice! The Good: Great characters. Well written for their age and they handled situations appropriately. Oh, and our names are really similar! Ha! The Issue: I felt a little bit of insta-love between Isaac and Kenzie. I enjoyed seeing Kenzie’s budding attraction to him, but was somewhat surprised with how quickly he professed his love. Certainly not something that ruined the story, just a relationship I’m looking forward to reading more about. The Rating: 4 conch. You don’t have to be a fan of Christian reads to enjoy this story, just a fan of good writing. Giveaway: There is a tour wide giveaway for an ebook copy of the entire series plus surprise SWAG and it's open Internationally! Click HERE to enter. My name is Amber Garza and I LOVE to write. I’ve had a passion for writing since I was a little girl, making books out of notebook paper and staples. As an adult I’ve worked hard to make my dream of being published a reality. The Prowl Trilogy is my first finished series..My next series will be out this October.